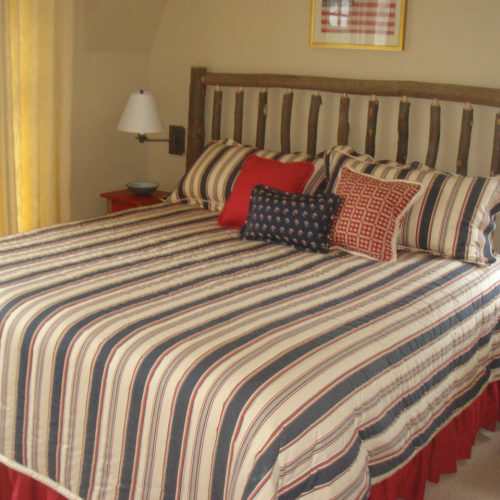 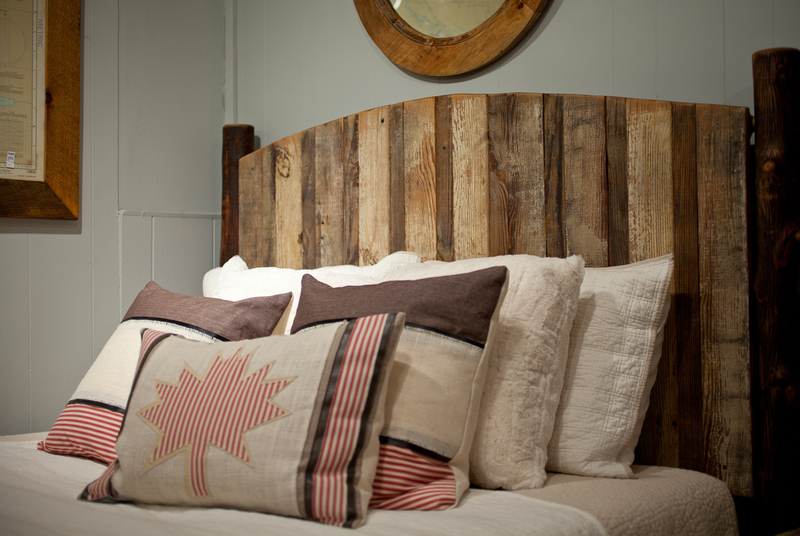 Your bedroom is your most private space—your escape from the rest of the world. 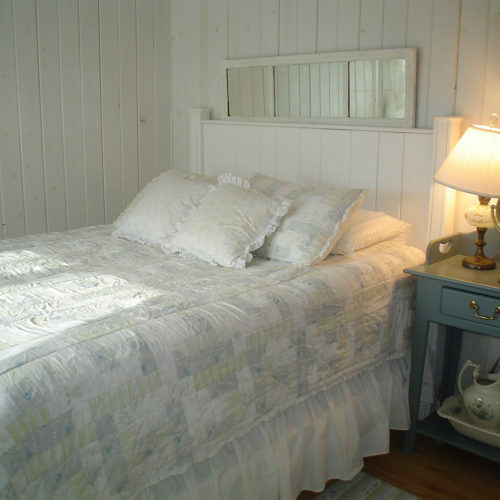 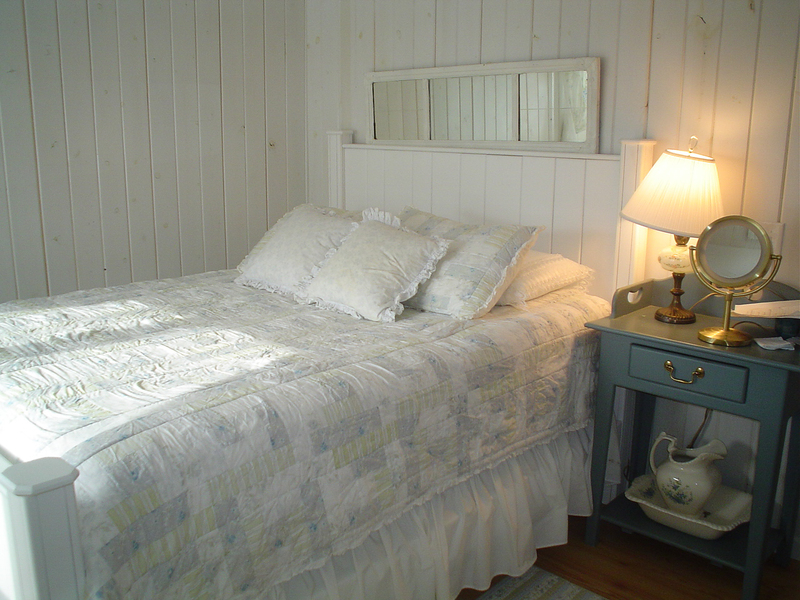 Each room is a reflection of the person inhabiting it. 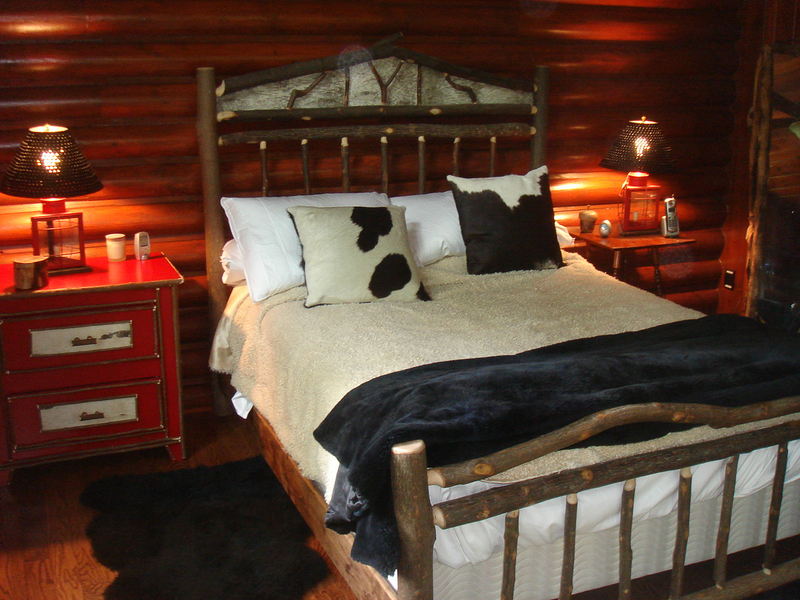 It can be whimsical, elegant, playful, soft, masculine, or anything else you can imagine it to be. 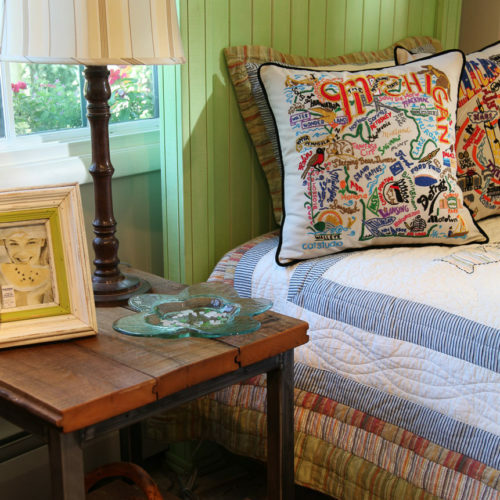 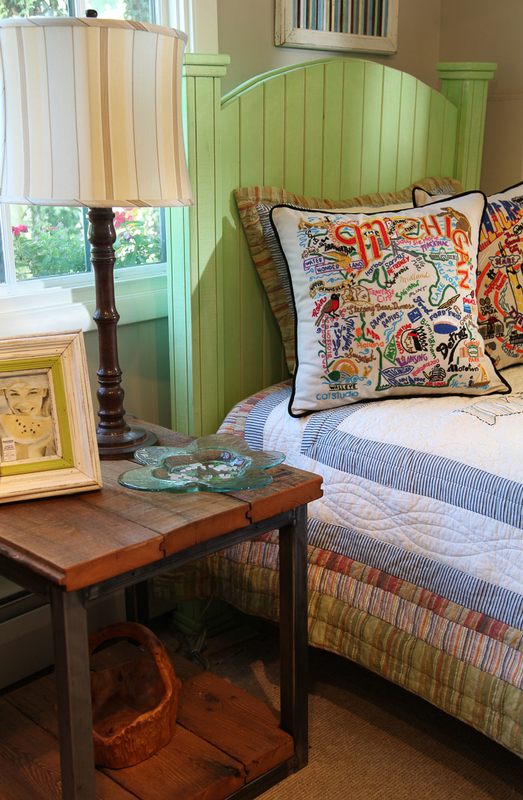 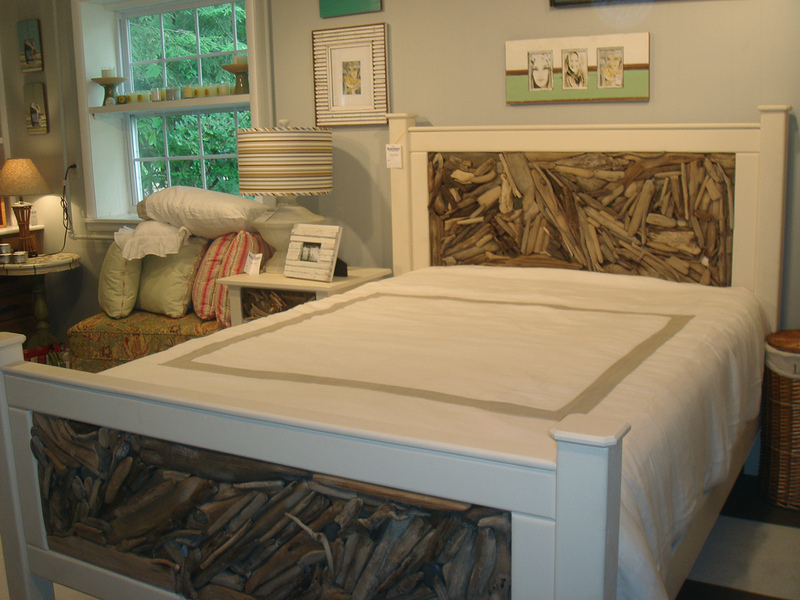 All of these are moods that Hearthwoods can help to create for you. 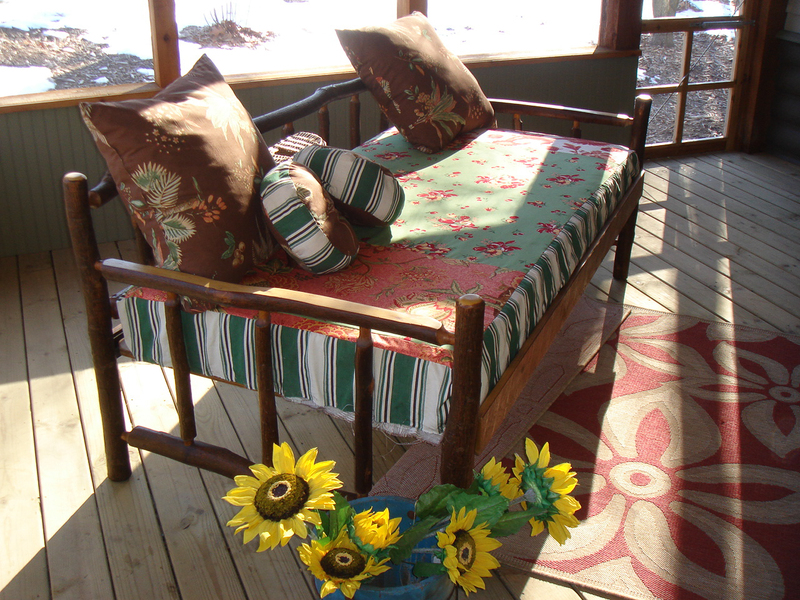 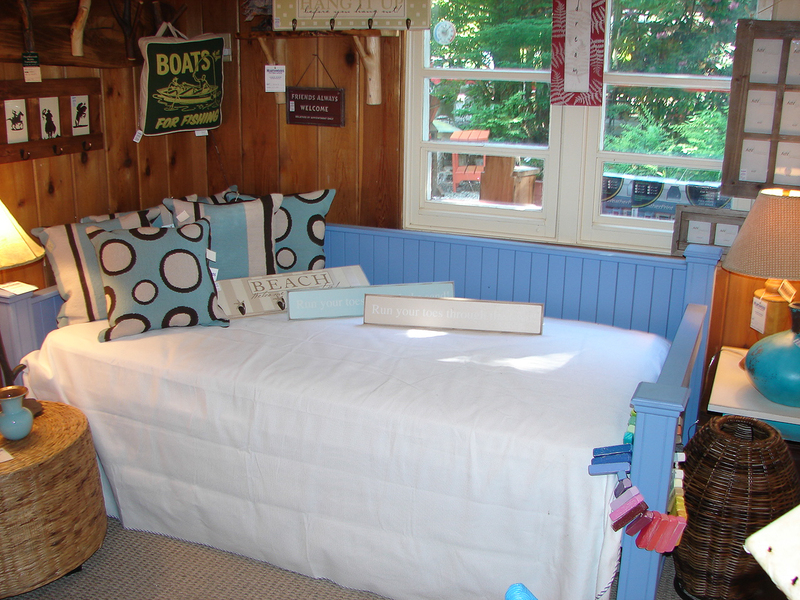 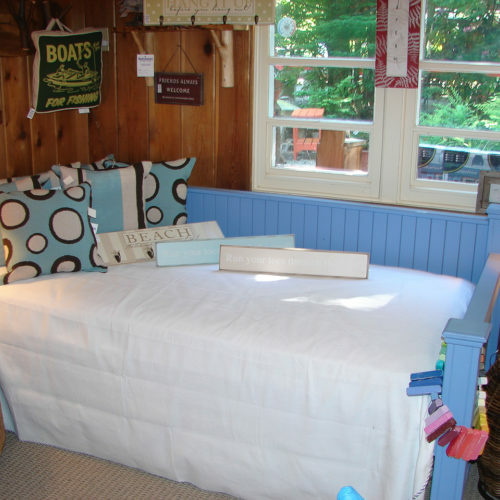 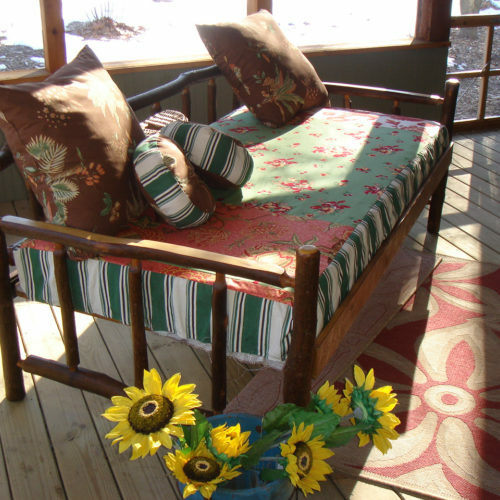 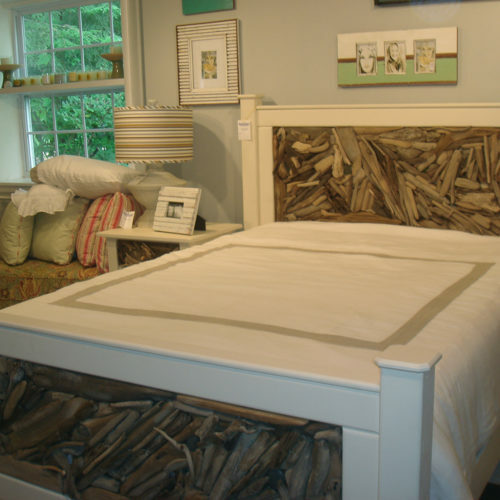 Anything is possible- from treetop canopies to driftwood beds made from materials right off the beach, there is something for everyone. 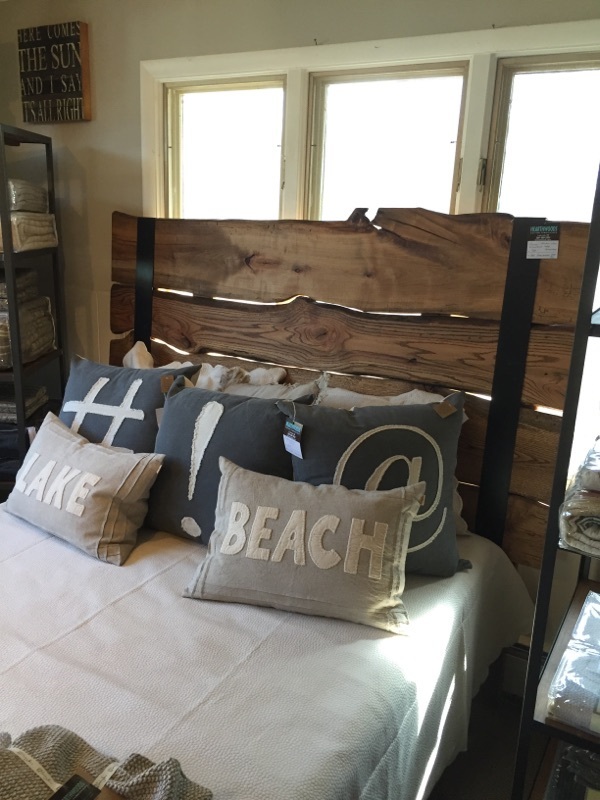 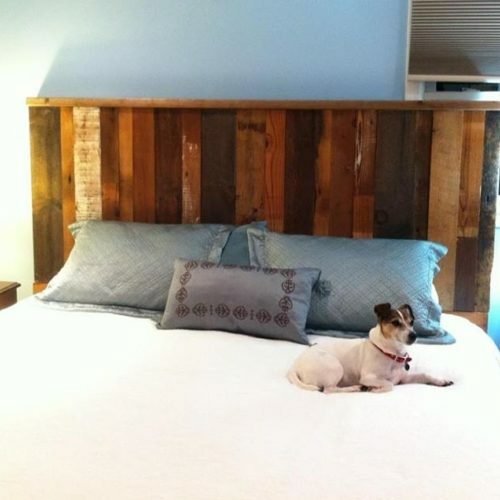 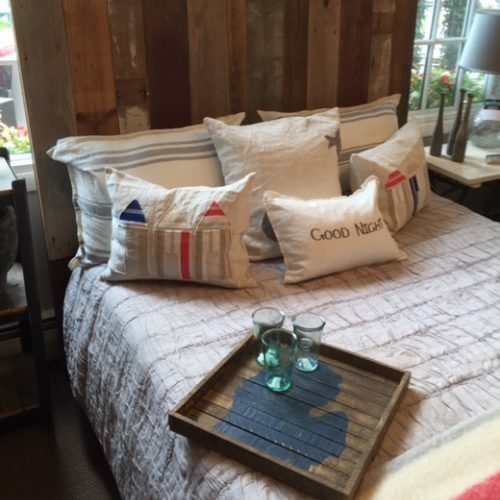 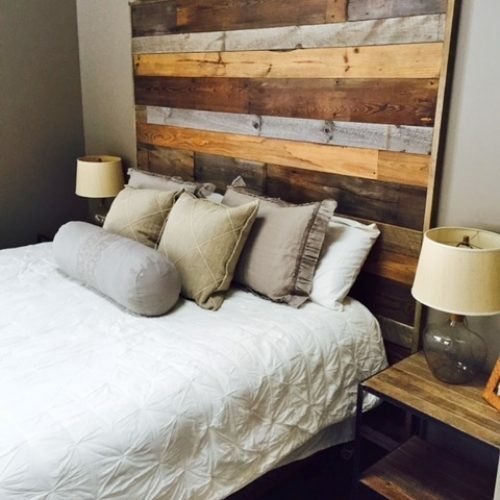 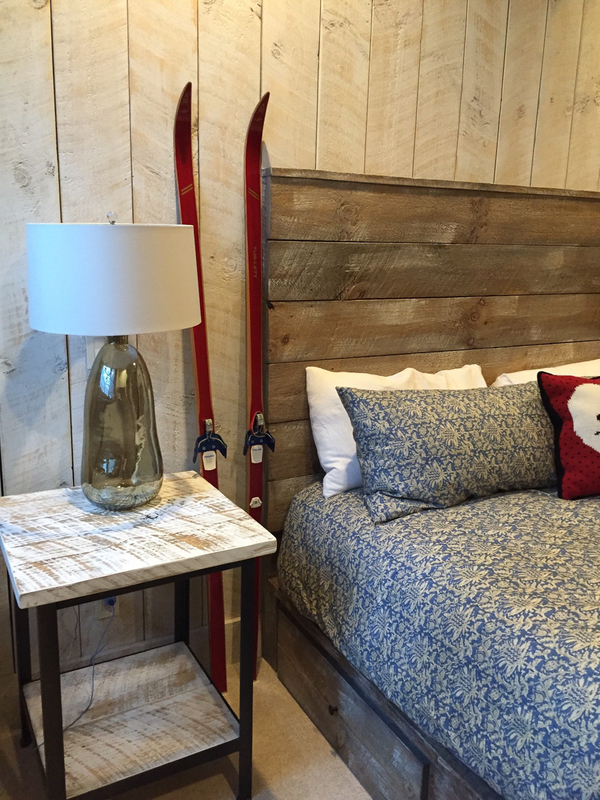 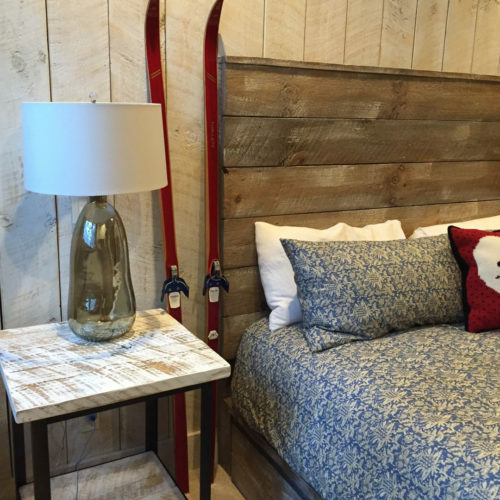 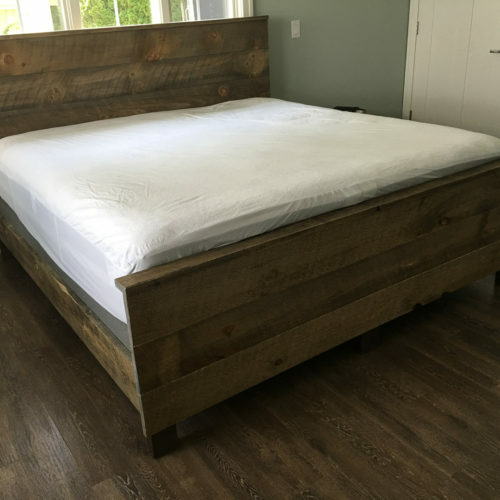 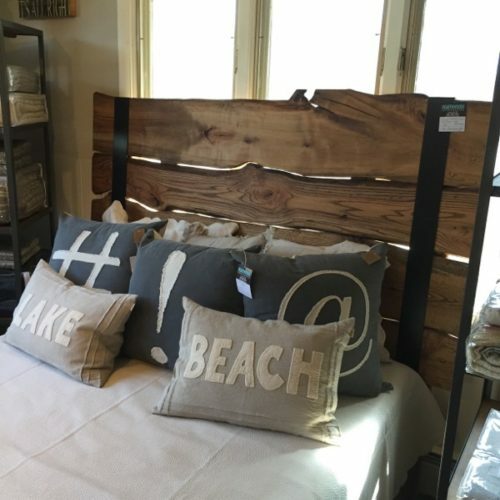 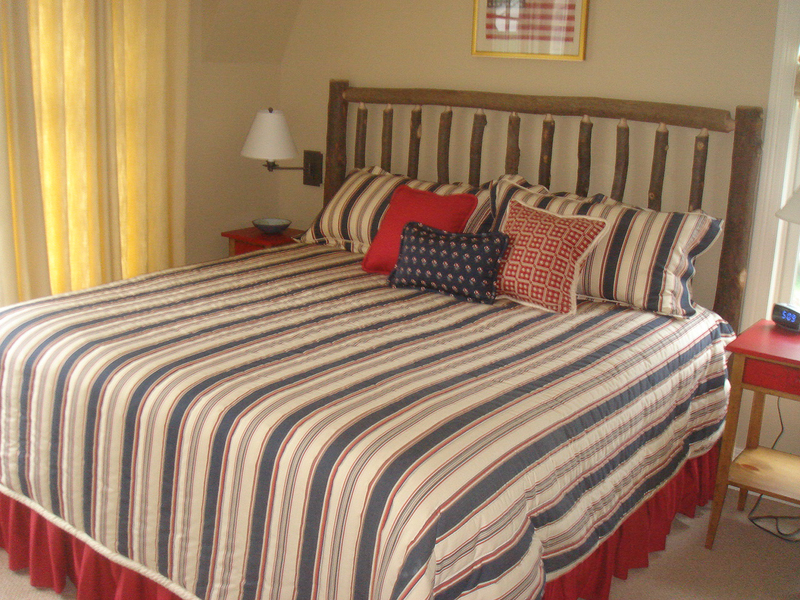 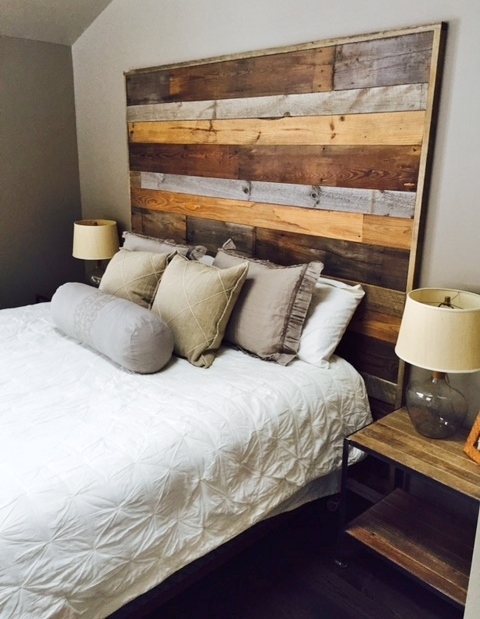 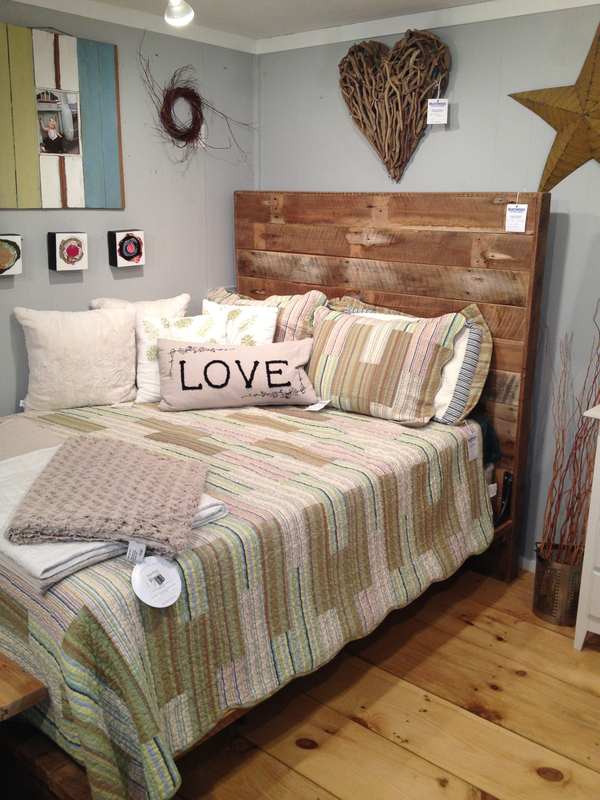 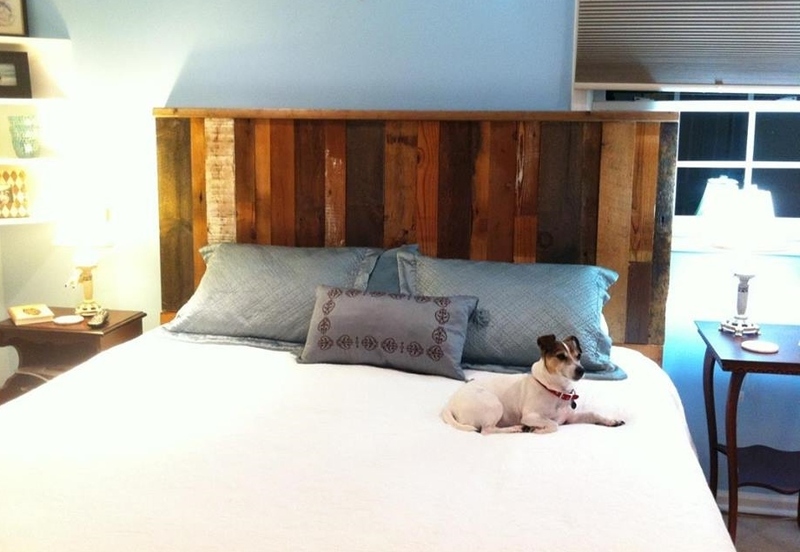 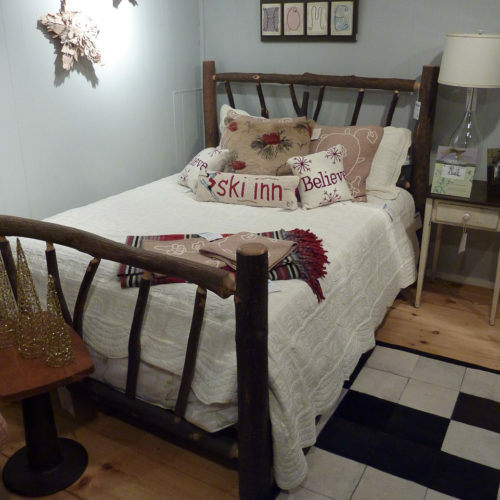 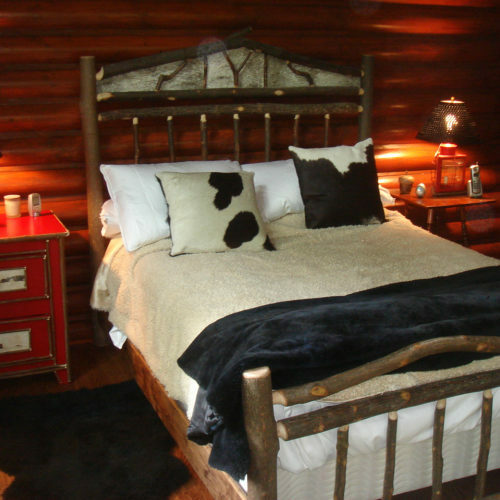 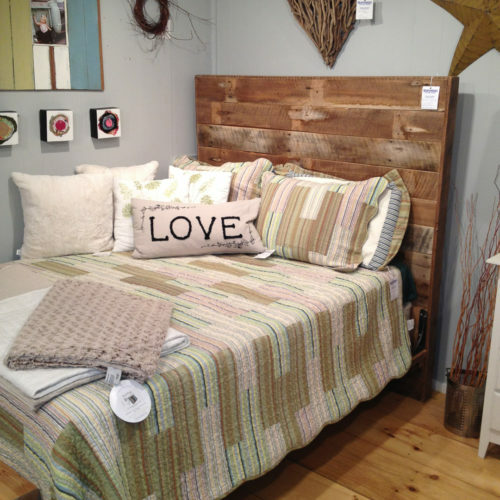 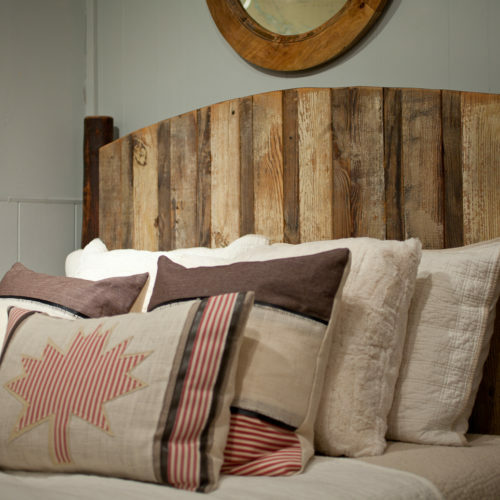 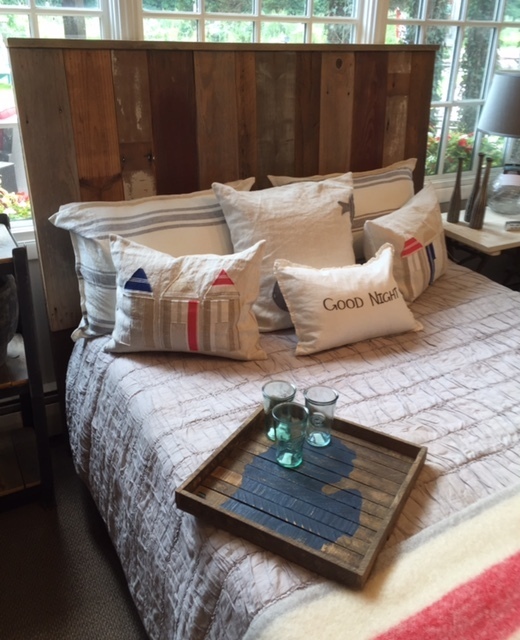 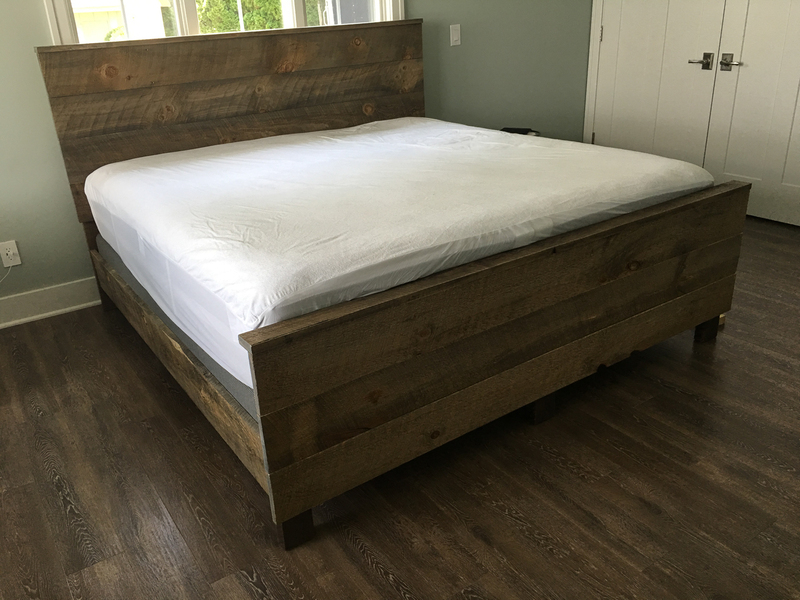 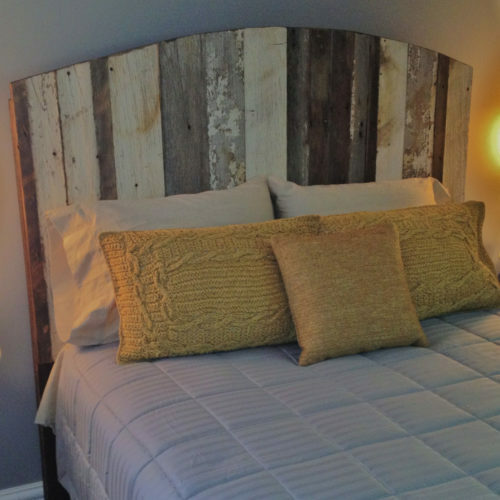 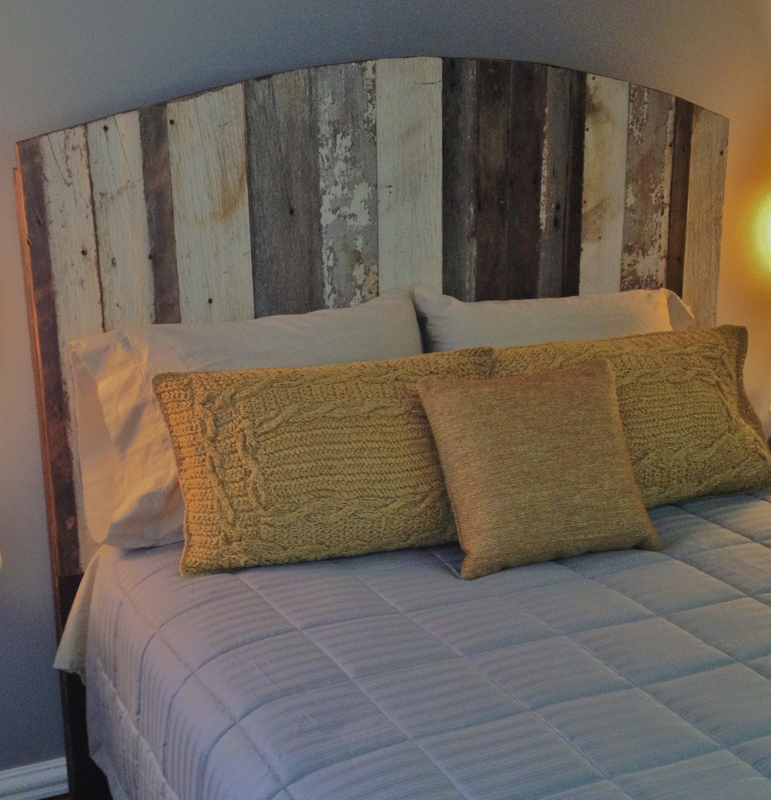 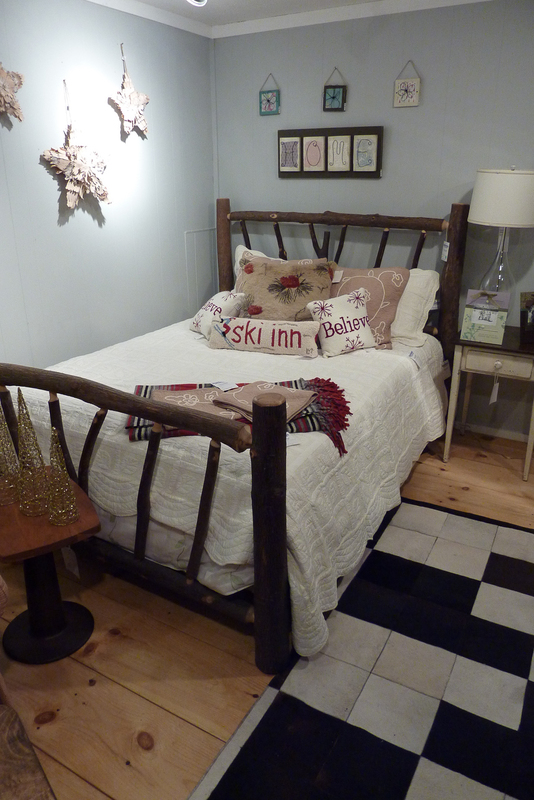 Item# 314 Reclaimed Barn Wood Headboard and Weathered White Pine White Washed End Table with Steel Base.